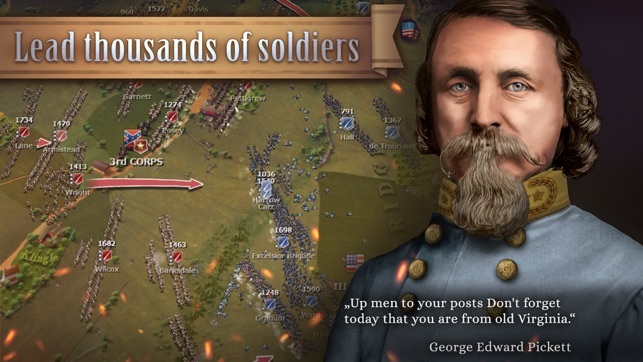 A Tactical Wargame that allows you to command thousands of soldiers as a Union or Confederate General during the Battle of Gettysburg. The strategy game features unique hand drawn map, complex morale, innovative controls and smart AI. 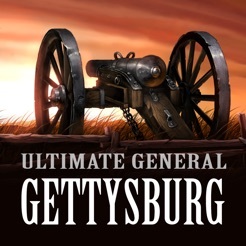 Ultimate general: Gettysburg is a critically acclaimed indie wargame with one of the highest user ratings for strategy games on Steam and Metacritic. The campaign is split into 10 historical missions from the first engagements to the famous “Pickett’s charge”. Missions present different levels of complexity that will give you hours of gameplay. The game plays in real time, but you can pause at any time to plan your strategy and give orders to units. Drag simple movement arrows to command large forces as if you are drawing them on the tactical map. Units do not need micromanagement, able to act on their own: re-aligning, switching targets, withdrawing and forming battle lines without player input. The AI commanders are able to evaluate and gain tactical superiority in real time, reacting to your actions; fighting aggressively or defensively replicating actions of a competent human player. The game will provide the significant challenge on higher difficulty levels. We used satellite images and historical maps, recreating important locations, houses, ridges and hills that are depicted as accurately as possible within the game’s unique art style. If you are an American Civil War enthusiast, you will be happy to notice the amount of precision and information that the map provides. Not only will you be able to better understand the historical layout of the map, but also you will be able to use of each location and landmark in battle, thanks to the simulation of cover, concealment, terrain and high ground in the game. Elevation and obstructions will affect unit visibility realistically. Units will use concealment and cover to survive artillery barrages, stage ambushes and more, but beware – the AI will attempt to do the same. 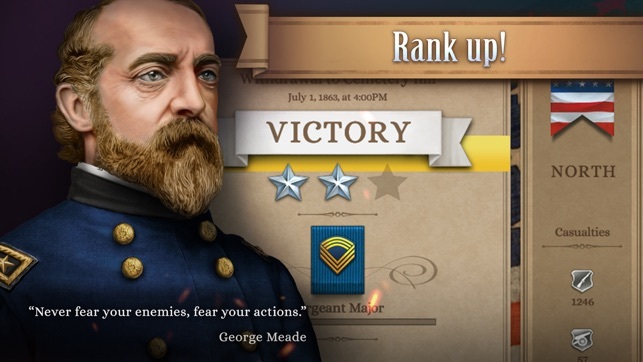 In Ultimate General: Gettysburg, you will realize that army units are not “machines” that blindly follow orders, but need to conserve strength and courage for decisive battle actions. Every basic tactical element that is expected from a strategy game is important for winning battles. Unite morale is affected by multiple factors including flank or rear attacks, casualties, volley shocks, artillery fire and fatigue. 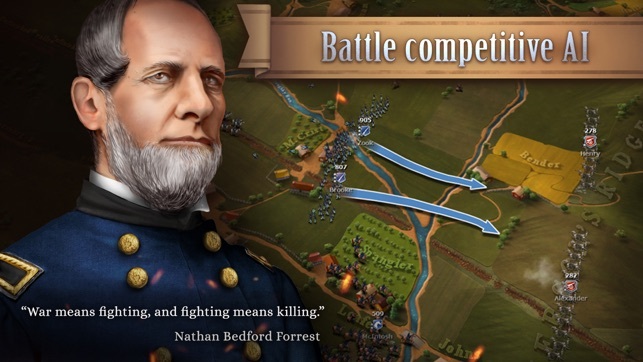 Ultimate General: Gettysburg includes the full order of battle for the Union Army of the Potomac and the Confederate Army of Northern Virginia. Command famous brigades like the Iron Brigade, Louisiana Tigers, 1st Vermont, Bucktail Brigade, Gibraltar Brigade, Excelsior Brigade and many more. The game was redesigned from the ground up to provide good usability and playability on tablets. If you have played the game on the PC, the major change is in the campaign flow and in the user interface. The tactical combat and its features were tuned only slightly. 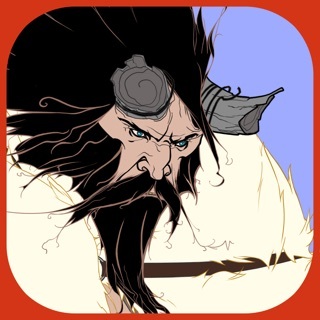 You will be able to experience the same depth and challenge on iPad. This game is amazing, but I think they could add something more l. It lacks the addictive side of most game, it's like yea I finished the first level and you forget about it until the next month. This happened to me. Also it needs some different battles that where important to the war, like the battle of Appomattox. I love the civil war so when I looked up a game the other month I was like wow this looks cool so I got. It is not bad for 3.99 it could use some ideas the community has and put them in the game. Some parts of the battle is fun and your like sweet I'm winning then it just turns the wrong way. I think they should help you out a little bit more on the first battle instead of the 1 min tutorial and it says good luck. The first game should teach you strategy and other stupid that would make you win and be better at the game. 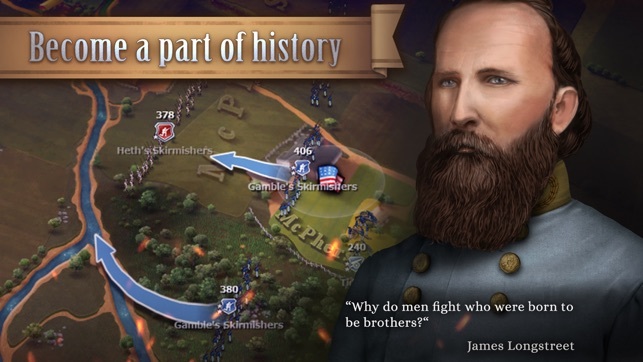 Over all I like this game and I'm a civil war geek and I would buy it again. I think anyone can be good at it civil war geek or not it is an amazing game. I heard a lot of good things about the PC version of the game but the ipad version is the 'lite' version of it apparently. Game is way more simplistic than I expected but it's still fun. My big gripe is with cannons. Every time I move them they won't shoot despite being on a hill with clear LOS. None of my troops in front of them either. They just sit and do nothing until they eventually get attacked. On the rare occasions where it does shoot it only kills 5 to 10 enemy troops which is ridiculous at close range. You can't win a game like this, especially as the Confederates, without cannons working right. 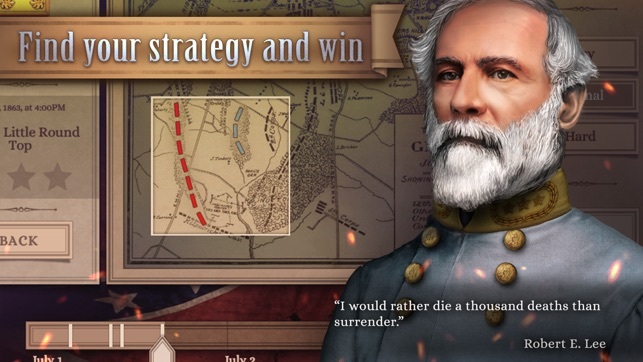 .Otherwise the game is ok. May have to shell out some $ and buy the regular version on my pc since Apple decided that the presence of Confederate flag was too offensive to keep it in the app store. Maybe they should have a smiley face flag instead. Hey Apple : How about letting gamers decide what is offensive and what isn't. Just put a disclaimer in the game description saying confederate flags might upset some snowflake.